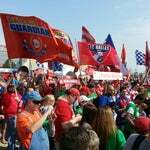 Located in the northeast corner of the stadium, the FC Dallas Team Shop is the place to get all the latest FCD gear! Open Mon-Thurs 10-4, Fri 10-3 and always open on game days. If you're into football, the NCAA Division I Football Championship will be held here on January 7! Check out the statue of FC Dallas patriarch and American sports pioneer Lamar Hunt on the North Concourse. 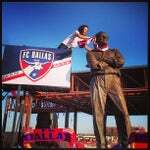 An honorary guest scarfs the statue before every FCD home game. Thank You Uncle Lamar! 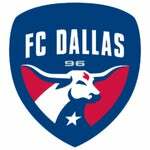 If you're 21 and up, check out the Budweiser Beer Garden on the north end of the stadium for some sweet food and drink specials and cheer on FC Dallas alongside supporters group the Beer Guardians! 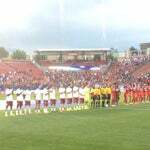 Don't forget, parking's always free for FC Dallas matches at Toyota Stadium! 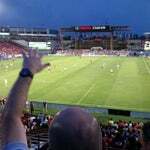 Formerly Pizza Hut Park, FC Dallas Stadium is home to MLS team, FC Dallas. The 20,000-seat venue is used for sports, concerts, and other events and boasts 24 luxury boxes and the Stadium Club. Brush up on your North Texas Soccer history by visiting the Walk of Fame that runs through the Toyota Soccer Center fields just north of Toyota Stadium. Everything is bigger in Texas. Except soccer. 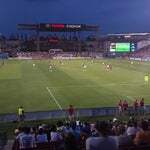 Pizza Hut Park is a soccer-specific stadium with a 21,193-seat capacity, built and owned by the city of Frisco, Texas. 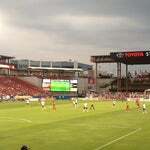 Its primary tenant is Major League Soccer (MLS) team FC Dallas. If you're in Frisco for the FCS game, check in at Capital One Cup Fan Zone for a chance to win great prizes! FCS Fact: Only FCS team to win 3 consecutive national championships is Appalachian State. 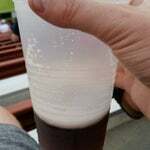 Join us in the Beer Garden. Stand and sing with the Beer Guardians. 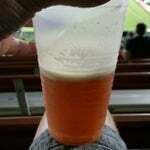 The southwest corner has the best beer selection. 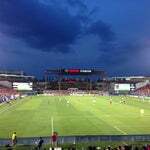 Formerly known as FC Dallas Stadium and Pizza Hut Park, this 20,000 seat beast has hosted an MLS Cup, an NCAA Division 1 Football Championship and even an Ozzfest. ABBIAS 110% FACT: Yes!!! 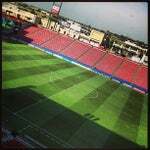 Here is home of FC Dallas. These guys have ultra group called The Infefno who been here since 1996. 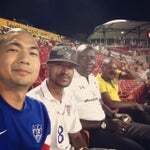 The great rivalry here is with the Colorado Rapids. 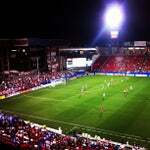 DTID! Come hit up the Beer Garden if you're 21+ and see the match through the eyes of the Dallas Beer Guardians! 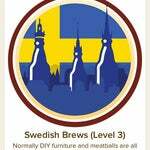 Grab some beer in the Southwest corner! Go FC!! 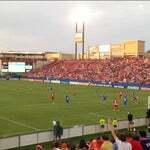 Name changed to FC Dallas Stadium on Jan. 1, 2012. 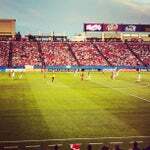 Pro soccer, high school football, concerts... PHP has it all. Come early and grab dinner or drinks across the street in the square.